Hollie Carmen is doing the whole “trying to make it as a British singer-songwriter” thing the right way. The London born and raised songwriter has just released her Plan B EP (which features hot up-and-coming rapper Aaron Unknown) which puts her on the map as a “One To Watch” in the category of new vocalists. 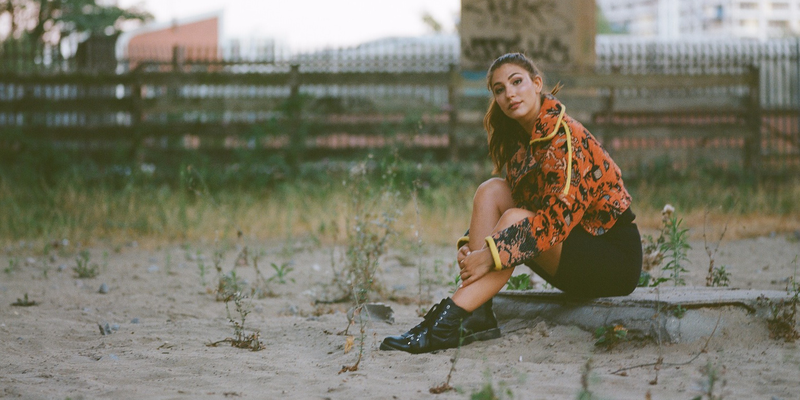 Influenced by a huge range of artists – from soul and R&B legends such as Otis Redding, Ray Charles, Lauryn Hill and D’Angelo all the way to Dua Lipa, Alessia Cara, Jorja Smith and more – she is shining light in the UK’s re-emerging soul and R&B scene. Carmen has also collaborated with some of the most promising writers and producers – single “Butterfly” was co-written with dance-pop artist Marlon Roudette whilst titular track “Plan B” was produced by Oscar Scheller (Lily Allen, Mae Muller, Mabel). Hollie Carmen sat down with James Gilmore to talk mindset, confidence and the creation of the “Plan B EP”.